This week we move to the Bahamas and Caribbean on HUNTER, a striking 40m luxury motor yacht from the Italian Maiora shipyard. 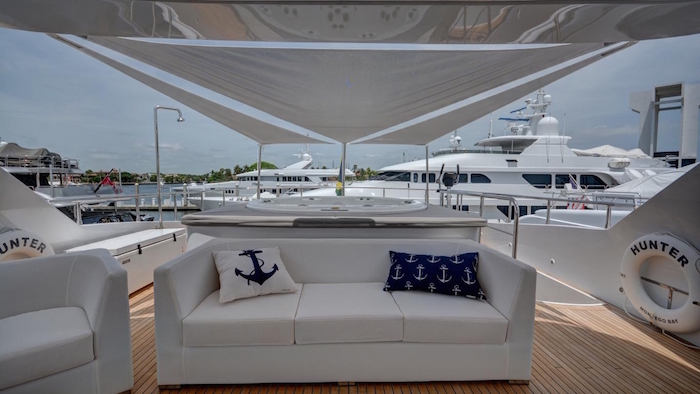 Offering contemporary interiors, a stunning sundeck and an excellent selection of amenities and water toys, look no further for your 2016 Bahamas Yacht Charter. HUNTER has already wowed our charter clients in the Bahamas and she will continue to do so throughout St Martin and St Barts this winter. 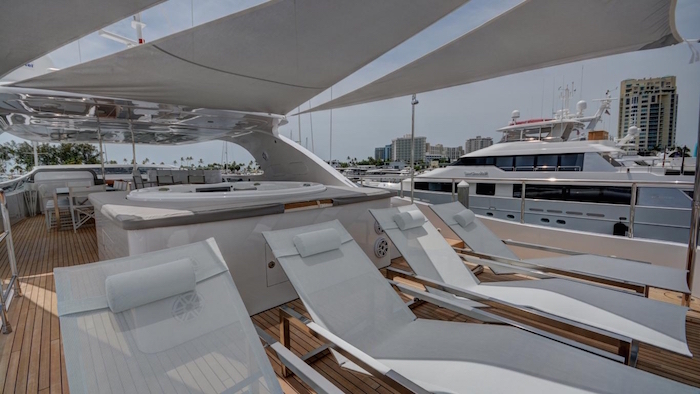 Sit back and relax on the sun deck; her open plan design is very sociable, especially around the central Jacuzzi which divides the sun beds from the forward facing dining areas. 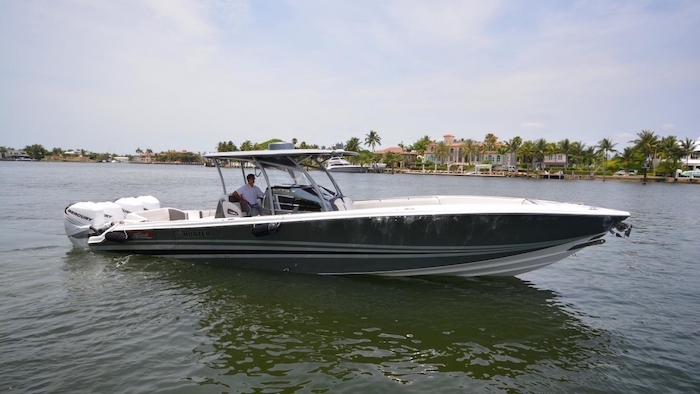 HUNTER has one of the fastest towed tenders on the charter market, as well as a great selection of water toys to satisfy every single member of your group. 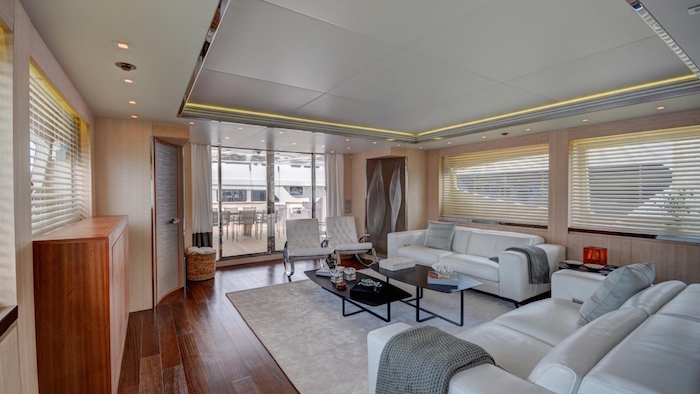 Enter the salon from the aft deck and you will appreciate her well thought out interior, which benefits from so much natural light. 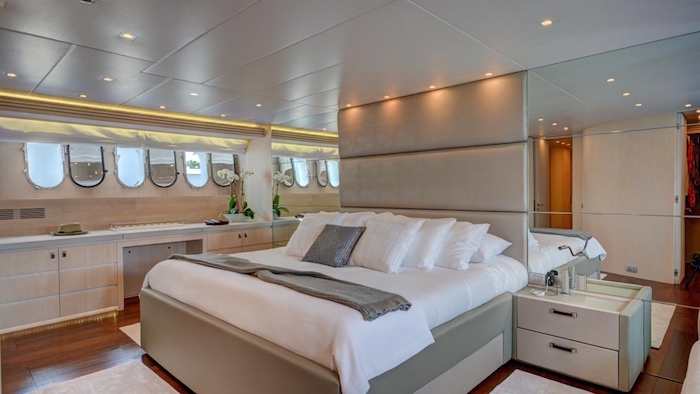 It is a great feature throughout, which continues into her 5 guest staterooms, ideal for up to 10 guests. 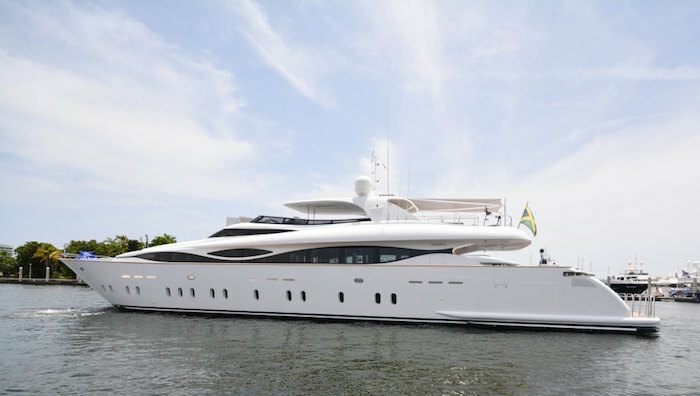 The Boatbookings Team will be attending the 56th Fort Lauderdale International Boat Show this week, inspecting the very best super yachts available for charter. Keep up to date by following Boatbookings on Twitter.